Club Penguin Cheats by Mimo777 Club Penguin Cheats by Mimo777: Club Penguin Brazil Card Games! Are you a fan of Captain Rockhopper or worship with their puffles? 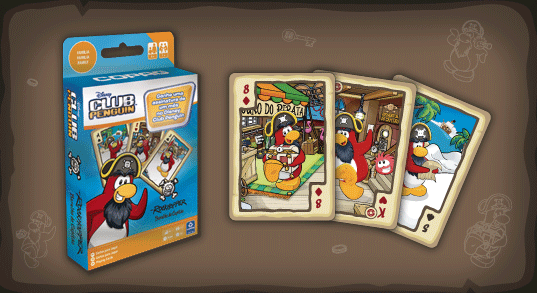 Look at this news: These two deck boxes can be found in Brazil and each comes with a monthly subscription code from Club Penguin! Which one is your favorite? Those look rather smoove, but I wonder why they are only in Brazil, don't you? Maybe there just starting them there? Like those smoothies you get fruity clothes with- there just in the uk. If they just put them for sale online most anybody could order them. That would solve the problem. Oh in the last email Club Penguin told us there would be fruit stuff available at the party for everybody. 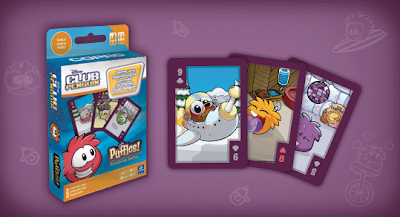 This kind of stuff should be sold all over the world including U.S.
speaking of cards when is the snow cards and game going to come out? !